LAS VEGAS – Oct. 31, 2017 – Bob Bondurant School of High Performance Driving, the official High Performance Driving School of Dodge//SRT, announced several new initiatives today to commemorate its Golden 50th Anniversary in 2018, including track and facility expansions and improvements. The announcement was made during a press conference held in the Bondurant booth during the SEMA Show in Las Vegas. The announcement was made in conjunction with representatives from the company’s key sponsors, including FCA US LLC’s Dodge//SRT and FIAT brands, Goodyear, Shell and Pennzoil. 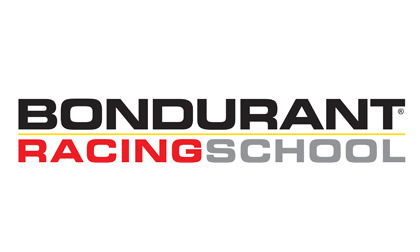 Bondurant is proudly located on the Wildhorse Pass Motorsports Park, which is in the Gila River Indian Community. Earlier this year Bondurant extended its lease up to 2030. The lease extension gives the School the ability to continue with plans to expand the tracks and make improvements to the existing infrastructure. All of the 50th Anniversary initiatives are being spearheaded by President Pat Bondurant, who was also recently appointed CEO of Bob Bondurant School of High Performance Driving and Bondurant Racing School.